One day, Shou, who is always hungry, receives a letter. It contains a student ID issued by a famous school and the ID says “All school restaurants are free of charge.” He immediately decides to transfer to this school. 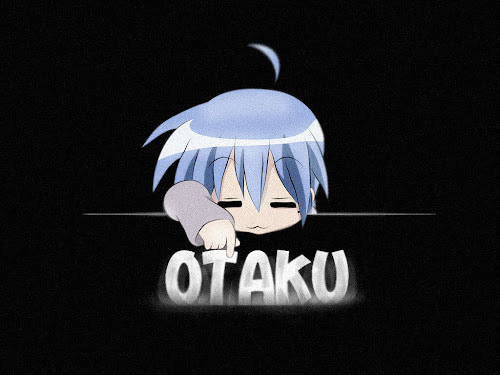 The school, however, is divided into two groups…. Also, what welcome him are a strange fortuneteller, a huge explosion of fire works, and his room at school dormitory for girls…. What will happen to Shou? 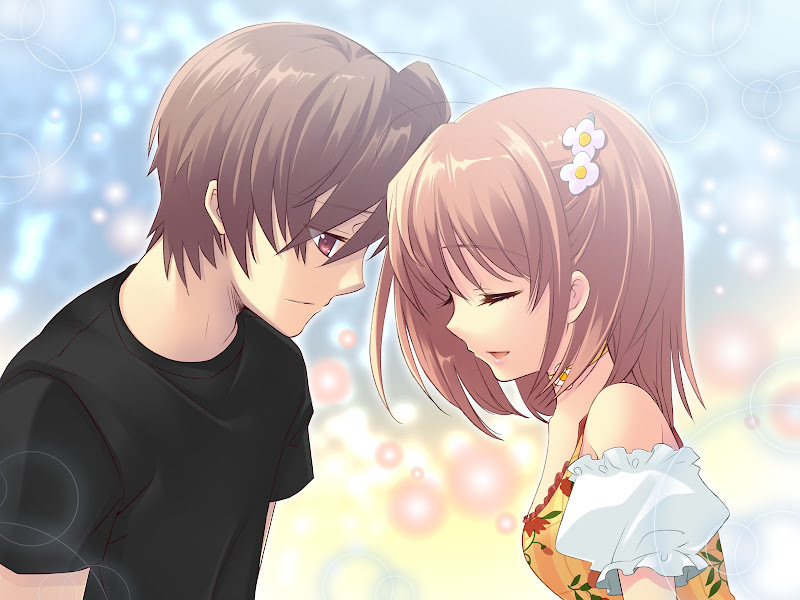 What will happen to love romance between Shou and six female students? His new school life now starts…. 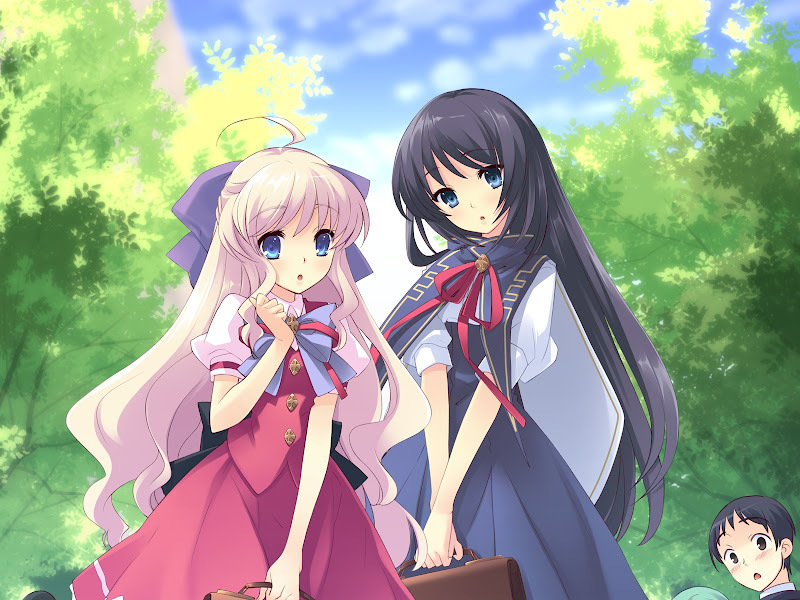 The story of Flyable Heart revolves around the protagonist Syo Katsuragi , a high school student who has recently transferred into the Ōtoriryōran Academy , a notorious private high school known for its high academic standards. There are two associations representing the student body in the school, the Ryōran association , and the student council. Members of the Ryōran association are appointed and manages the campus' operations, as opposed to the student council whose members are elected and manages affairs for the student body. Upon being enrolled into the school, Syo is welcomed by fellow students and is greeted by fireworks. He is then forced to reside in the all girls Ryōran association dormitory as the male dormitory is completely occupied. He spends most of his time with members from the two student associations and other students. 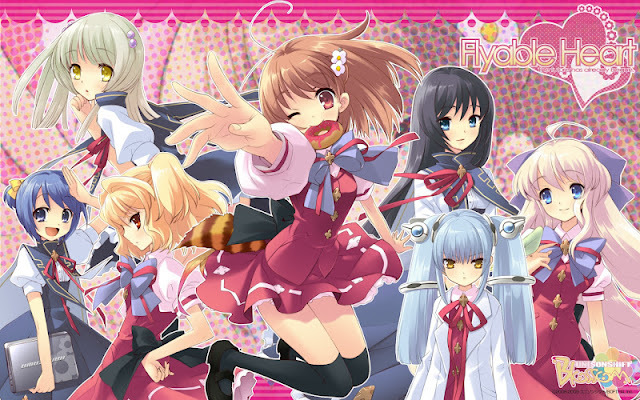 One of his fellow students is Yui Inaba , the main heroine of Flyable Heart. Like Syo, Yui has recently transferred into the school, and is not yet familiar with the many unusual aspects of the school. 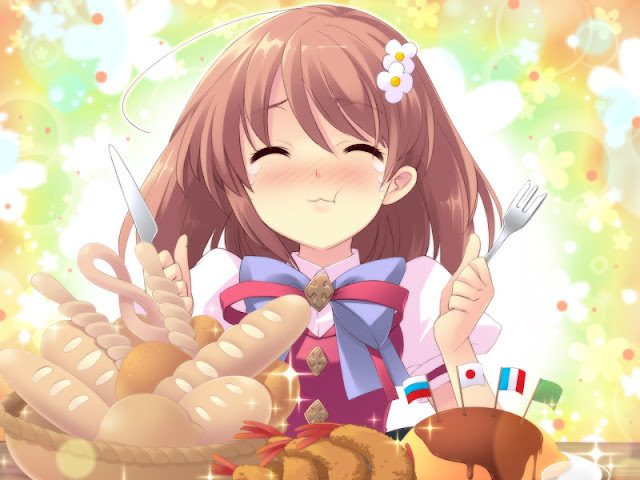 She has a bright, but also timid personality, and has an affection towards doughnuts, claiming it is the only thing of a large size that can be eaten anywhere. He later also meets Amane Sumeragi . Amane is in the same class as Syo, and is the president of the Ryōran association. She has an aggressive personality and a strong sense of responsibility, in contrast to her carefree elder brother and student council president, Souryu Sumeragi . Syo also meets Sakurako Minase , another Ryōran association member. 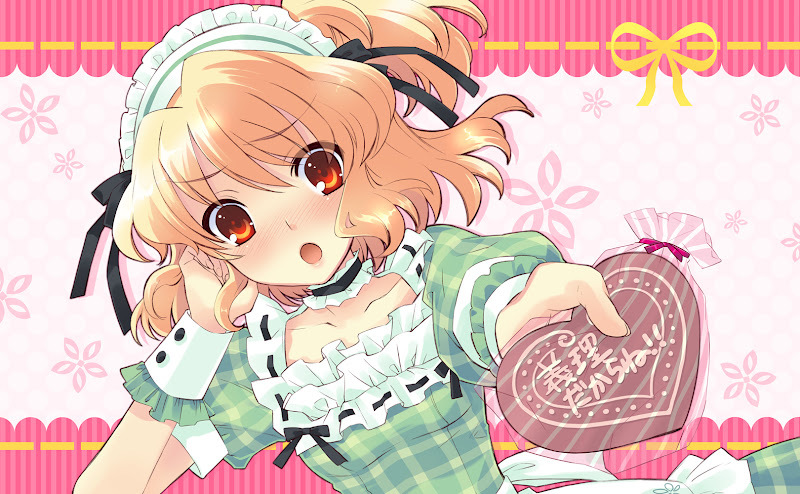 Sakurako is soft-spoken and has a gentle personality, but is also a natural airhead. Mayuri Shirasagi is the vice-president of the student council. She has a kind and elegant personality, and excels in academics and sports. Mayuri and Sakurako often spends time together as friends. The two also have a high reputation among students for their respective stature and personality. Suzuno Yukishiro is a girl from Syo's class. Like Sakurako, she is soft-spoken and well-mannered. She has a weak body, and claims she is a spirit not visible to human eyes. 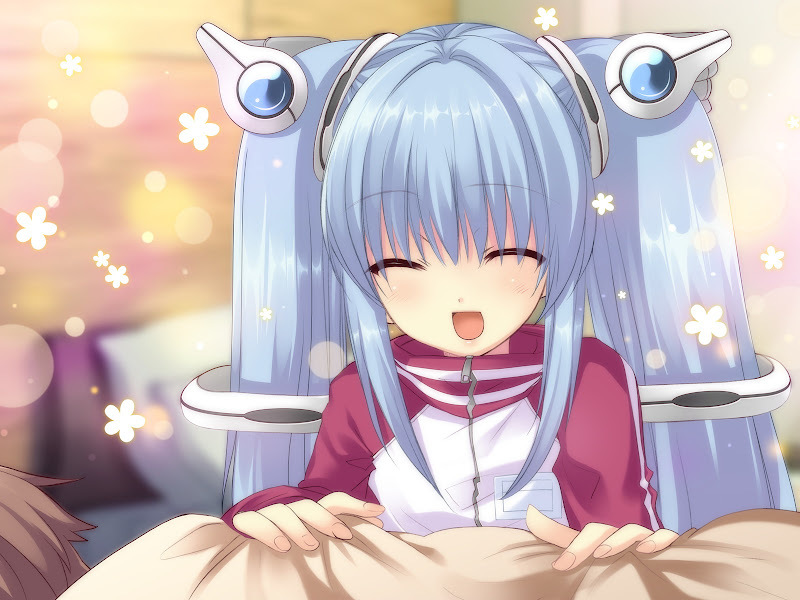 The sixth and final heroine in Flyable Heart is Kururi Kujo . 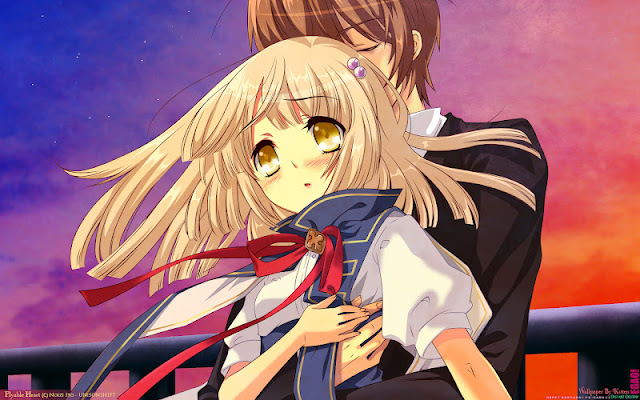 Kururi is a first year student at Syo's school. She has a cold and quiet personality, and serves as the matron to the Ryōran association's dormitory. She is skilled at mechanics, and is the creator of Syo's robot roommate, Maxx . 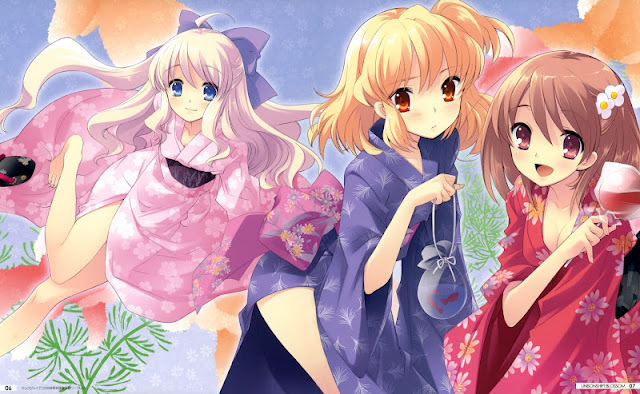 A good solid eroge with an excellent scenario, romantic and heartwarming stories, and characters you will remember and empathize with. This game is not only well worth the time, but something everyone who enjoys a good story will want to play. The first army I've painted!